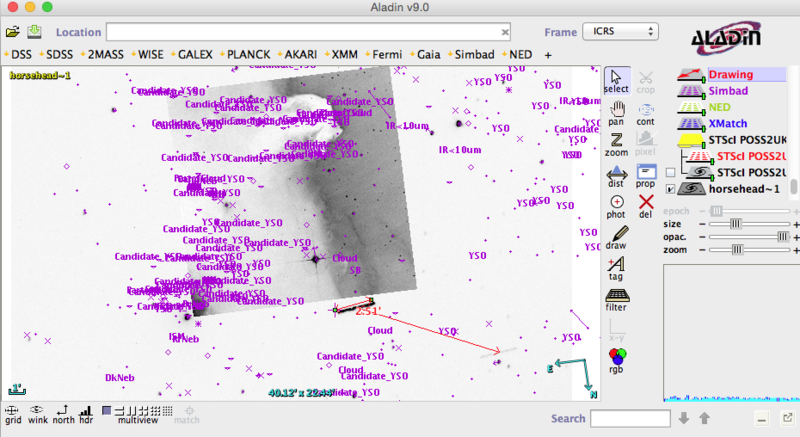 Telescope Time for 2010B – Spring is back! An interesting news was released today by the European Southern Observatory (ESO), the international organization where I used to work in Chile. The E-ELT Site Selection Advisory Committee recommended the the Cerro Armazones in Chile as the future site of this large 45m-telescope. ESO is an international organization which provides state-of-the-art research facilities to astronomers and astrophysicists, allowing us to conduct front-line science in the best conditions. The countries which are members of ESO are Austria, Belgium, the Czech Republic, Denmark, Finland, France, Germany, Italy, the Netherlands, Portugal, Spain, Sweden, Switzerland and the United Kingdom. I mentioned in July 2009 in a post that the TMT, a Thirty-Meter Telescope which is a comparable project in term of size and infrastructure of the E-ELT has chosen the Mauna Kea in Hawaii as a potential site fort this massive telescope. Most of the astronomers were anxious to know what will be the site of the E-ELT (European Extremely Large Telescope) since apparently 2 countries, Chile and Spain, offered to host it. This is a key issue for astronomers since the southern hemisphere sky is different to the Northern one, so having 2 large telescopes on the same hemisphere would have been considered as a great lost. Spain was competing with Chile to have the E-ELT at La Palma in the Canary Islands, closer to Europe but with a limited access to the southern sky. Chile had four potential sites (Armazones, Ventarrones, Tolonchar and Vizcachas) with very good conditions for astronomy (clear weather, good sky conditions, far from any city light pollution). 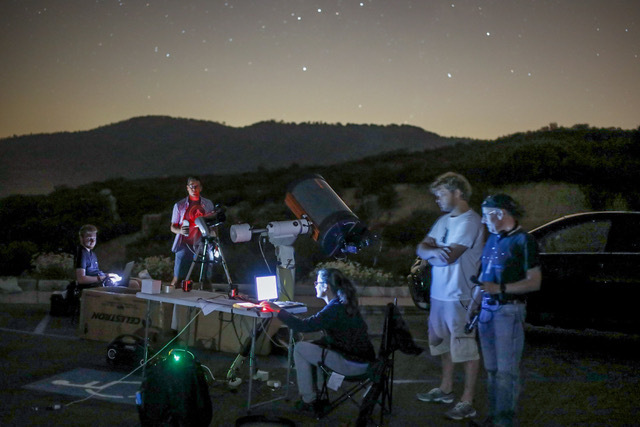 Today, the Site committee announced that they selected the Cerro Armazones since it has the best balanced quality required for an astronomical site. The ESO council will most likely confirm this site as the future location of the E-ELT after taking into account other relevant issues. Where is the Cerro Armazones? With a heigh of 3064 m this cerro is located in the Atacama desert at 130 km south of Antofagasta in the Northern part of Chile. Its longitude and latitude coordinates are 70d 11′ 46″ W and 24d 35′ 52″ S. Because it already hosts the observatorio Cerro Armazones of the Universidad de Chile it has an IAU code (I09). Interestingly the Cerro Armazones is only 40 km East from the Cerro Paranal, the location of the Very Large Telescope of ESO. 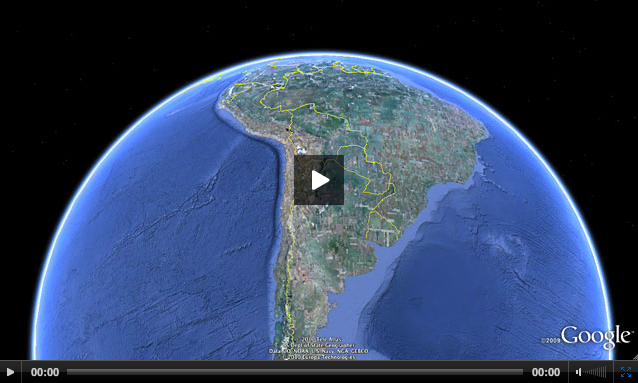 You can click on video below to see an animation showing the location of the Cerro Armazones. What is the E-ELT? The European Extremely Large Telescope is a telescope with a primary mirror of 42-m in diameter composed of 1000 hexagonal segments (1.4m wide). It is similar in structure to the Keck telescope but its primary mirror will be 4 times larger providing better sensitivity and angular resolution. The image below show the telescope and its dome at scale with another large observatory, the VLT composed of four 8m telescopes and a famous monument located in Paris (l’Arc de Triomphe). If, like a lot of people around the world, you don’t like the E-ELT name, you should have a look on the posts from my fellow astronomer Stefan Uttenthaler. He is starting a campaign to change the name of this telescope, and several of them were proposed. I particularly like the EYE or the CYCLOPS since it is catchy, easy to pronounce and quite multi-cultural. You can join his Facebook group if you want to contribute to the discussion. Enjoy the sky, you don’t need a 42m telescope for that. Hi i would like to ask you if this announcement from ESO “the best balanced sky quality” has solid scientific ground. Is it just a decision about the Hemisphere or is it a decision about sky quality? What i have read was that the public technical study said that both sites had the best sky properties. Was that decision taken when the TMT whas decided to be in Hawai? I think when the sky qualities are the same then there are other variables. ESO is from Europe with european public money why don´t we use this money as EEUU did with its islands. Do we really loose something that we can´t see in the north hemisphere? In my opinion, the E-ELT should go to la Palma. I live in Germany and i would like to see that telescope at least ones in my live. The North hemisphere should be rich enough for all the discoveries. 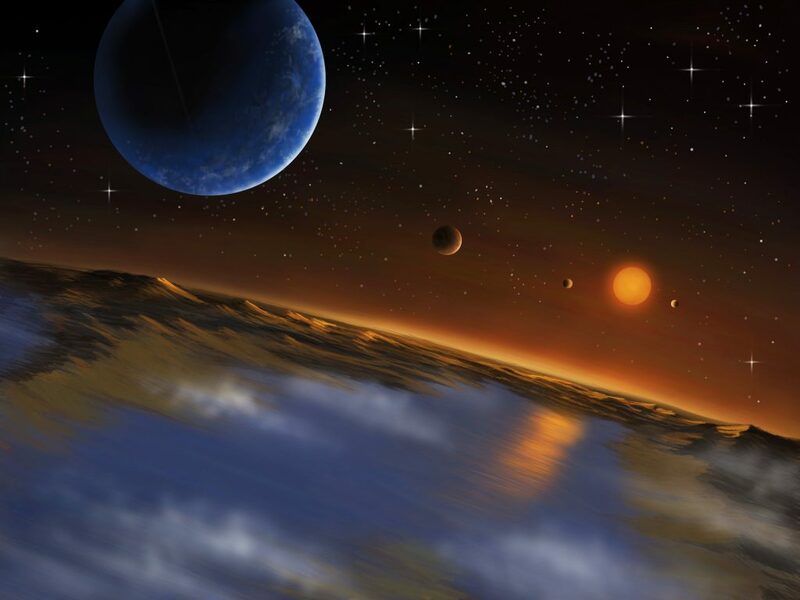 If they want to study planets i think there are a lot from the point of view of North hemisphere. I think that if the quality is good then there are other more important aspects.